As your local Ace Hardware, our store is a member of the largest retailer-owned hardware cooperative in the industry. 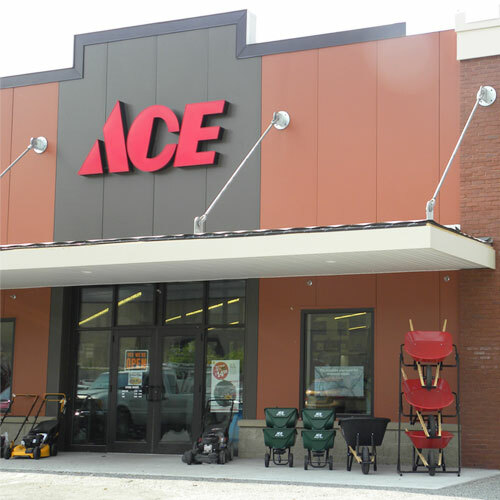 Ace Hardware began as a small chain of stores in 1924 and has grown to include more than 4,300 stores in 50 states and more than 60 countries.As part of a cooperative, our Lake County roots started July 1, 1962 in Round Lake, IL with a small 4,000sq.ft. store in the plaza where today our 72,000sq.ft. store resides. Thanks to our loyal customers, a great management team & staff, plus a commitment to excellence, we've grown through the years and today we have 9 stores located in: Round Lake, Gurnee, Libertyville, Mundelein, Wauconda, Grayslake, Waukegan on Lewis & Yorkhouse, Antioch & McHenry, IL. As the proud, helpful hardware folks who live in the communities in which we serve, we promise to provide knowledgeable advice, helpful service and quality products, because "helping you is the most important thing we have to do today and everyday!" Our 9 locations serve Lake and McHenry County in Illinois!